Is your driver’s license suspended because you cannot pay court costs, fees, and fines? You may be eligible to get you license back for free. Based on a July 2, 2018, federal court ruling, the Tennessee Department of Safety and Homeland Security will reinstate and reissue a driver’s license without charge to any person whose revocation is for failure to pay fines, fees, and other court costs on any non-driving offense. The court’s ruling only applies to people who lost their driver’s license since 2012 for nonpayment of court costs. If your license is suspended for another reason, such as a DUI, unpaid child support, or unpaid traffic tickets, you are not eligible for free reinstatement at this time. These other reasons for suspension or revocation must be addressed before you can get a license reinstated or reissued. How do I get my license back if I am eligible for free reinstatement because of the court order? The first step is to contact the Tennessee Department of Safety’s main reinstatement center at this toll-free number: 866-903-7357. Take this step as soon as you can. If you are unable to reach a person at this number, you can also visit a local reinstatement office. Click here for more information. Civil Rights Corps has reached a $14.3 million settlement in their class action lawsuit against Rutherford County and PCC. Anyone who was on probation from October 2011 through March 2016 in Rutherford County qualifies as a class member who can recover a money award, and those on probation after that may qualify. Civil Rights Corps wants to reach as many class members as possible, and they have asked for our help doing so. If you know of anyone who meets these criteria – including clients or former clients – please share this information with them. Welcome to the website of the Metropolitan Public Defender’s Office. We are pleased to offer this resource to our clients, their families, and the general public, and we hope the information you find here helps answer your questions. As the largest criminal defense law firm in Nashville, we strive to provide the best possible representation to our clients. As a public service agency, we also want to offer the best service to our community. Beyond the information you find here, you should know that the entire Staff of the Public Defender’s Office takes great pride in the work we do. 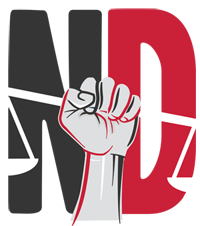 Our Mission is to provide zealous representation to our clients and to fight for equal justice for the indigent accused. We are truly honored to make the Sixth Amendment right to counsel a reality in Nashville. With all the problems in the criminal justice system today, we work to be one of the solutions. 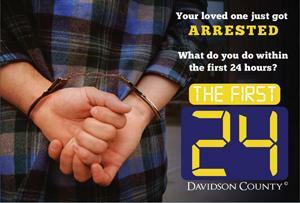 If your loved one is arrested, what can you do within the first 24 hours? Click on the link below for answers. Find out who to call to determine whether or not your loved one is in jail. Also find out about bail, when the first court appearance is, and who to call if you have concerns about your loved one’s health. The Defendant and Family Handbook is designed to help you and your family understand the criminal justice process, the legal steps your case will go through, how your public defender will handle your case, and what resources are available to help you and your family through this difficult time. 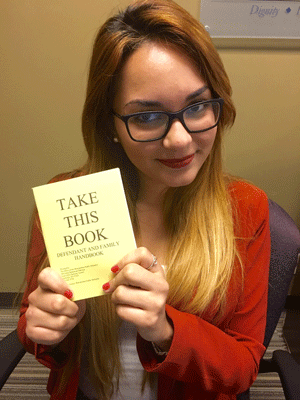 You can pick up a copy in our office, or read the digital version. OUR CLIENTS OURSELVES. Watch a video about the Nashville Defenders. HERE. 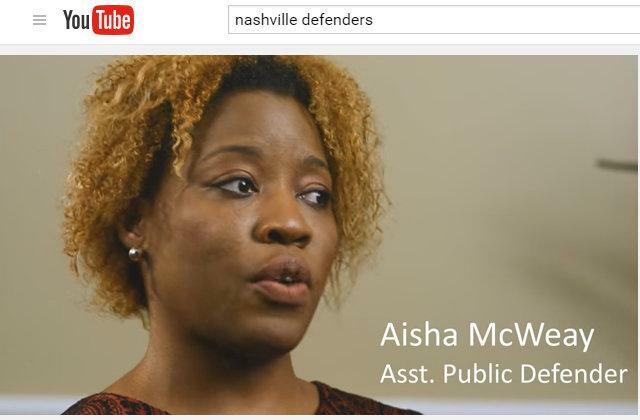 "Defend Nashville is the name of a new initiative from the public defender's office, a multipronged campaign to make its defenders a more prominent part of the judicial-reform debate." Stephen Hale of the Nashville Scene writes about the Defend Nashville initiative. More HERE. Do you have a loved one facing criminal charges? Participatory Defense comes to Nashville. Meetings every Tuesday night at 6:00 pm. The Nashville Defenders are proud to be a Gideon's Promise Partner Office. More about Gideon's Promise HERE.